Why Do You Need The Best Computer Cleaner for Free? What is the Best Computer Cleaner Software? How Does Tenorshare Windows Care Genius Work? "Come on, guy. Can you recommend a free Windows cleanup tool to save my sluggish Windows?" This is what I heard often from my friends. With the time goes, your computer inevitably gets slower, stuck, even death for no reason. Actually it is caused by many reasons like overabundant junk files, virus attraction, redundant defragments and too much unnecessary startup programs, etc. 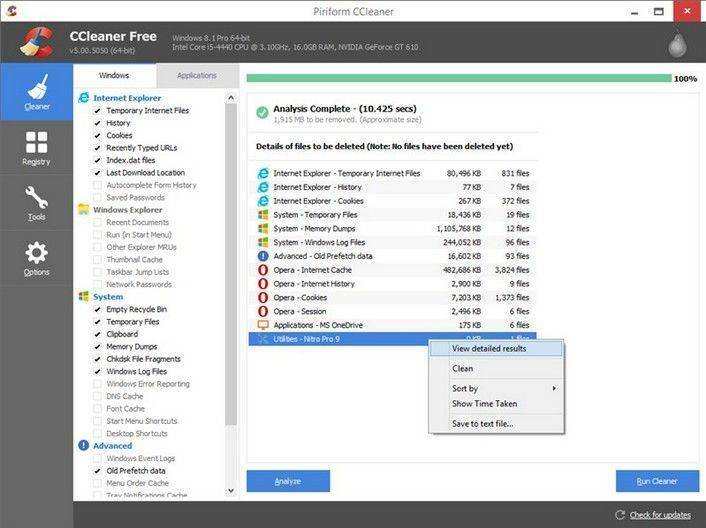 For now you need a comprehensive and powerful PC cleanup freeware to solve it. Definitely, Windows Care Genius is produced by a newly watched technological company who is committed to offer high-quality Windows system optimization service for someone suffering from sluggish performance. 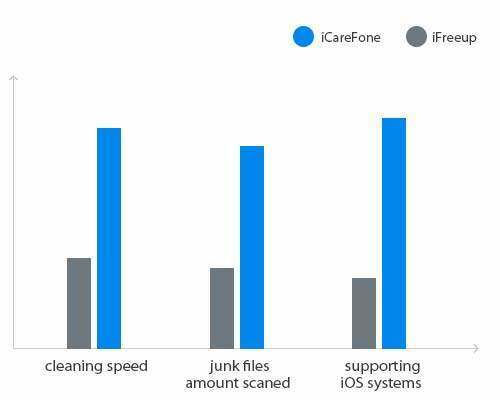 Here you can check what benefit from the best PC cleanup freeware on Dell/Sony/Lenovo/HP/Samsung/Acer. Clean up most of junk files such as registry entries, download history, unnecessary files, defragements and so on. Completely erase all the tracks such as browsing history, accessed files so as to protect your privacy from being viewed. Check up and rate its health status as accurate number and previously fix all potential risk on your PC, keeping your computer always at the peak performance. 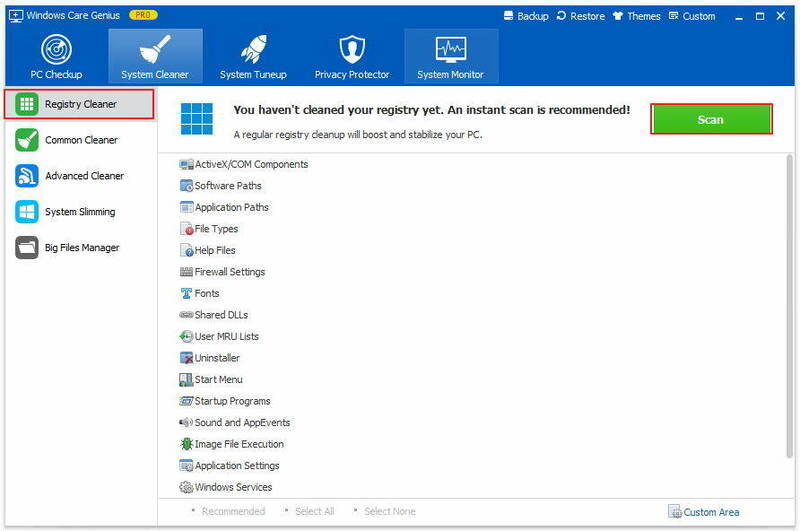 Monitor all active process running on your computer so that you can close unnecessary process to make your PC more smoothly. How Does Windows Care Genius Work? As the best computer cleaning tool, not only can it offer you powerful features, but also concise and user-friendly interface. All the operation can be done with one click. Before your PC cleansup, click download button below to download and installed it first. 1. Run the program and click Checkup. The program will automatically analysis PC’s health statues and rate it with corresponding number so that you can know clearly if it is healthy. 2. Click Fix to fix all existing problems on your PC with one click. After that, you are allowed to click Checkup again under Fix to check its health status again. 3. This is an optional tip. To make your PC run the best always, you’d better switch on Schedule Task on the bottom of interface to clean up your computer regularly. In other words, you needn’t take care of your PC anytime any more. This is how - the best computer cleanup utility works for you. Surely, it can do more than that. Now, you can totally understand why I rank it as the best free computer cleanup programs on the market. If you have any question, please leave it under the comment section. We are pleased to offer you more tips about PC cleanup and optimization. Last but not least, if your Windows computer can't boot, then you may also interested in Tenorshare Windows Boot Genius.